By: Make Believe Ideas Ltd. Trace and Lift 123 is an interactive introduction to numbers 1-10. 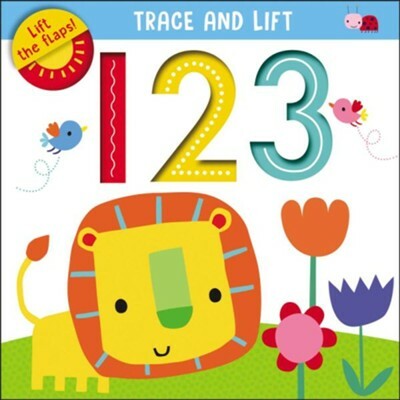 Each page covers a single number with finger-traces, a flap to lift, and a learning activity. This book is from an innovative new learning range from Make Believe Ideas. Each title features sweet illustrations from Dawn Machell. I'm the author/artist and I want to review 123 Trace and Lift Boardbook.